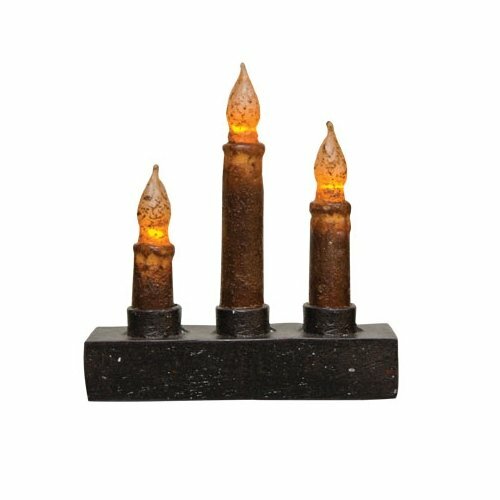 CWI Gifts Burnt Mustard 6-1/2" H x 6" W Drip Nook Candelabra. Black resin base with three built-in timer LED candlesticks, with the grungy, rustic look in a rich, dark brown flecked with cinnamon. Timer feature keeps candles lit for 6 hours, then switches off for 18, relighting at the time it was set. 6-1/2" H x 6" W. Requires 2 AA batteries (not included).